Kathy Whitworth won more tournaments on the LPGA Tour than any other golfer in tour history. No PGA Tour player ever won more than Whitworth, either. Kathy Whitworth: "There's an old saying, 'It's a poor craftsman who blames his tools.' It's usually the player who misses those three-footers, not the putter." Kathy Whitworth: "Golf, more than most games, has a number of cliches, often successfully disguised as 'tips.' Watch out!" Kathy Whitworth: "No one ever conquers golf." When Kathy Whitworth finished third in the 1981 U.S. Women's Open, she became the first LPGA player to surpass $1 million in career earnings. Whitworth won at least one tournament every year from 1962 to 1978, a streak of 17 years. It's the longest such streak in LPGA history. Kathy Whitworth won 88 tournaments on the LPGA Tour, more than any other golfer (and more than any golfer has won on the PGA Tour, too). 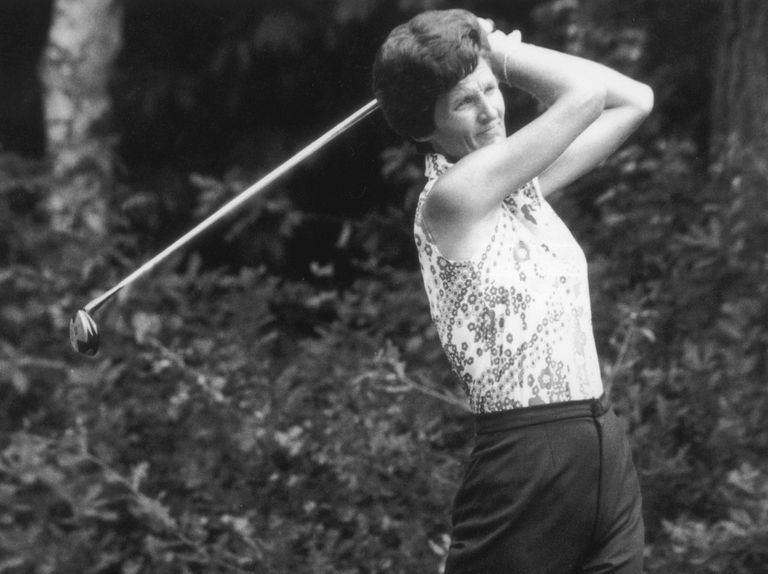 During the 9-year period from 1965 through 1973, Whitworth won eight money titles, seven scoring titles and was named LPGA Player of the Year seven times. Whitworth was born in Monahans, Texas, but most of her childhood was spent in New Mexico. She started playing golf late, at age 15, but by 1957, the year of her high school graduation, she was winning the New Mexico State Amateur. She won the same tournament again in 1958. She briefly attended college in Odessa, Texas, before turning pro in 1958. It took Whitworth four years to get her first LPGA win (1962 Kelly Girl Open), but once it came, Whitworth's career exploded. 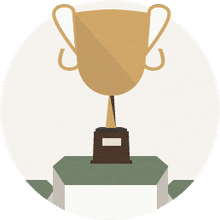 She won at least one tournament every year from 1962 through 1978, with many big seasons in the mix: eight wins in 1965, nine in 1966, eight in 1967 and 10 in 1968. Her last great season was 1984 when she won three times, and her final victory came at the 1985 United Virginia Bank Classic. Along the way, Whitworth served three stints as President of the LPGA Executive Board, where she helped shape policy and campaigned for the growth of the LPGA Tour. Whitworth was both an excellent driver and a top putter. The only thing missing from her career is a U.S. Women's Open victory. Despite her record-setting win totals, Whitworth won "only" 6 majors - but that total was surely deflated by the fact that from 1968-71 and 1973-78, there were only two majors per year played on the LPGA Tour. The greats who preceded Whitworth played 3 or 4 majors most years, and most of the ones who followed her played four per year. Whitworth continued playing in senior events after her LPGA Tour career ended, and also became a highly respected teacher of the game. She captained the U.S. in the inaugural Solheim Cup.